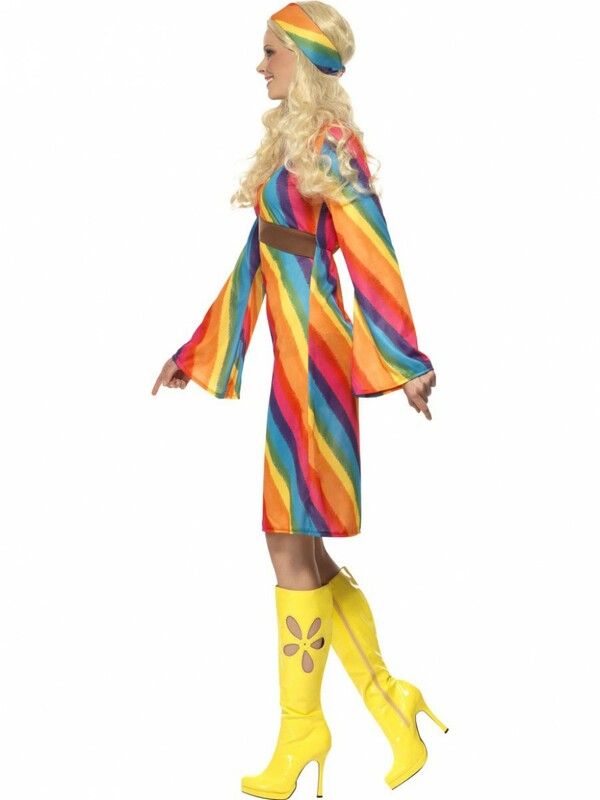 A costume guaranteed to make you stand out at any fancy dress party; perfect for a 1960s/1970s Decade themed occasion, this costume includes colourful dress and matching headband! 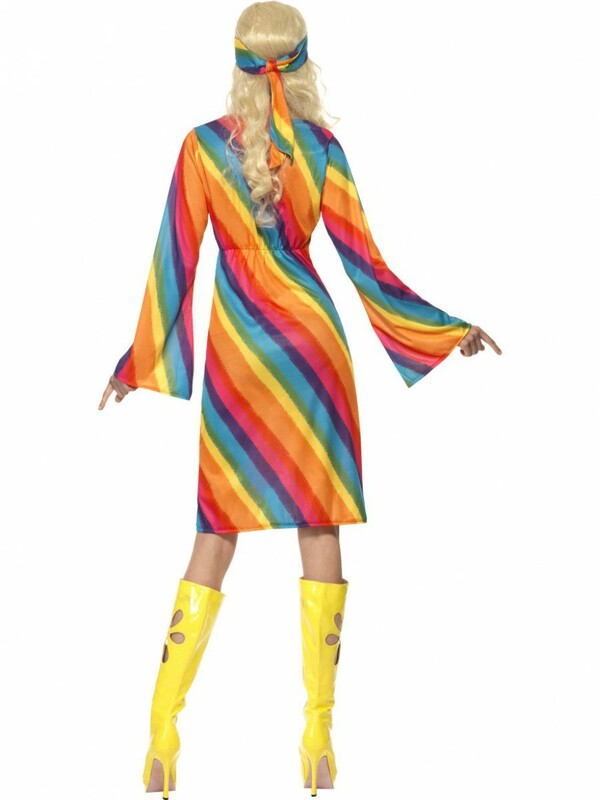 Steal the show with this magnificent Rainbow Hippie Costume, the ultimate head-turner at any 60s or 70s themed party. This fun costume includes multi-coloured Dress and Headband. The dress which measures just above the knee is bursting with colour. The neckline on the dress isn’t too low and has a brown panel section just underneath the bust. The multi-coloured stripes follow a horizontal design. The sleeves also follow this pattern and have a large flare to further emphasise the 60s/70s era. Also included is a glam matching multi-coloured headband. 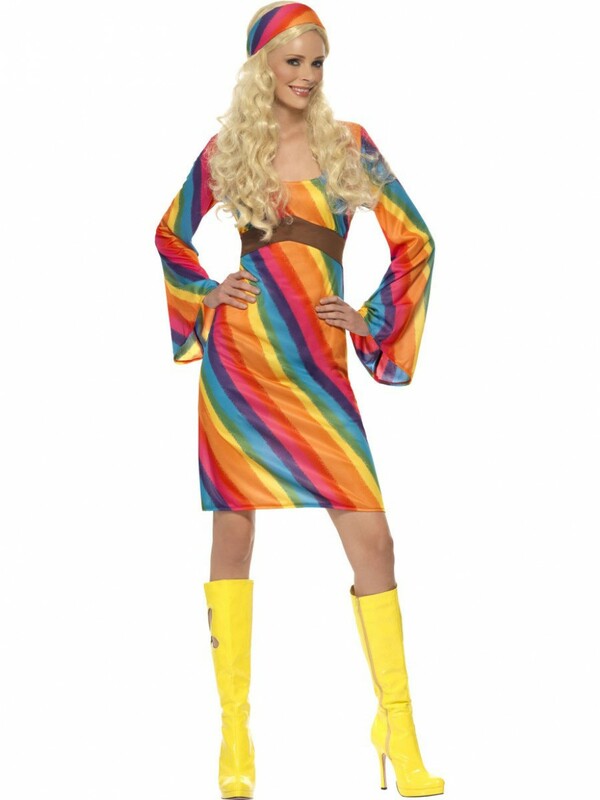 This fun Rainbow Hippie Costume also works as a great couple’s costume! 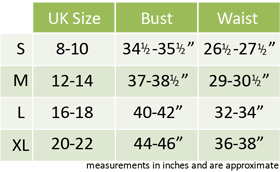 Available in size Small, Medium, Large and Extra Large. Rainbow Hippie Costume includes Dress and Headband.